During the last week of March, 32 employees signed up to participate in a potato sack tournament. The competitions were hilarious, only a few minor bruises were suffered, and in the end…there was only one. A great effort was made by the final four: BJ Battulga, Batkhuu Odonchuluun, Kamrul Hasan, and Kenneth Ross. Facilities represented their department well, but there could only be one winner. 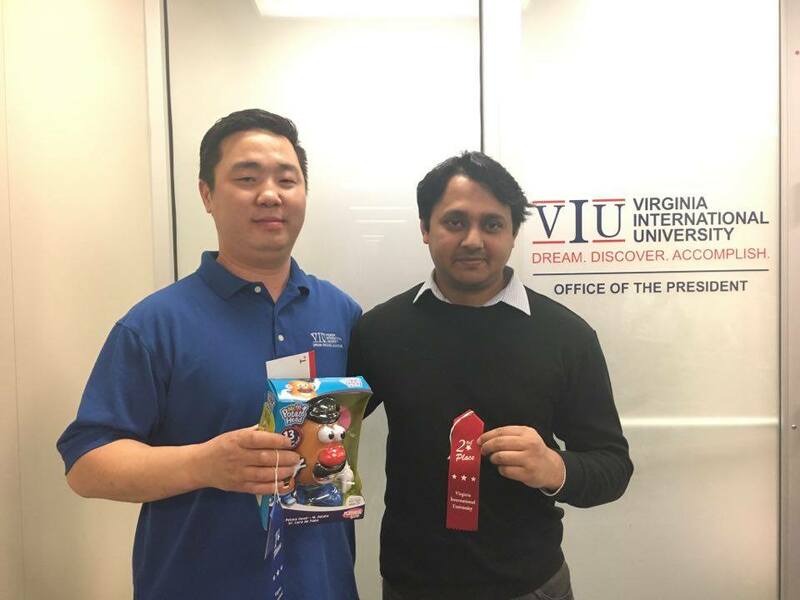 Congratulations to Batkhuu for defeating Kamrul in our March Madness Potato Sack Championship and being crowned King Potato Head. Most of the brackets that were submitted got hit hard with some unexpected early losses (*cough* Koorosh *cough*), but Muammar Camurcu made the best predictions and won the bracket challenge. Congratulations to Muammer! If you missed the action – no worries, check it out here!